We manufacture separate and small series of specialized details with high quality and high level of technical and technological refinement intended to be used for outfitting of non-standard machinery. Possibility for a rapid shift from one type of details into another. 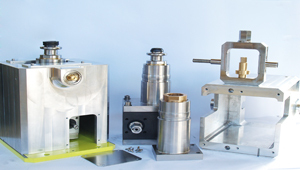 Wide range of the used materials -stainless steel, tool steel, aluminum,cast iron, bronze etc.